Welcome to 2013! I hope that all of you enjoyed the Christmas and New Year festivities the last couple of weeks. I know that I did. Managing the music and apps on multiple devices can be tricky when you are only syncing with a single computer. Here is one way I have found works. The key, in my opinion, is to manually do all of the music and apps. rather than automatically sync all new stuff because not everyone in the house wants all the music on their device. I don't want any of the cartoon music the young kids like, Mom doesn't want any of that newer pop/rock stuff the teenagers like, my oldest doesn't want any of the country stuff, and nobody wants any of the jazz music I like. This solution involves creating a playlist for each person that needs to sync an iDevice to the computer. The following screenshots will all be taken from iTunes 11 so if you are using an older version, you will need to adjust the instructions accordingly. Start by creating a new playlist. That will bring up a new panel on the right hand side of the screen. Name the playlist and add your music. First, in the pop-up panel, give the new playlist a name. 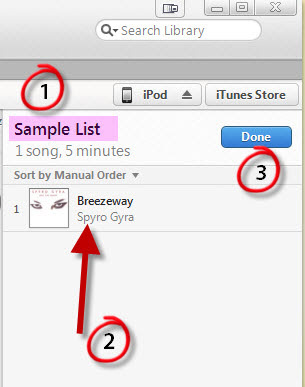 For this example, I am just calling the list "Sample List". When you are finished adding all of the music you want into the playlist, click Done. 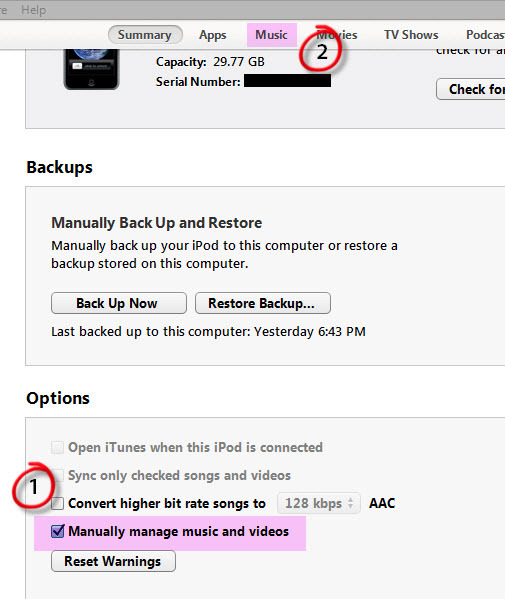 Repeat this step for any additional family members with an iPod, iPad, or iPhone that want to sync up with the library. Once you have finished creating all of the playlists, you will need to access the device itself. 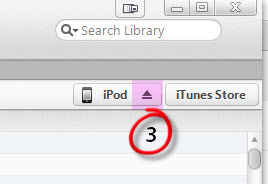 In the upper right corner of your iTunes you should find a button labeled in accordance with what type of device is plugged in. For this example we will see iPod. 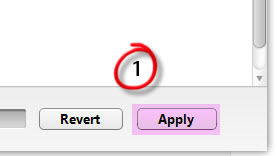 This is the button you need to click on in order to access the device settings. Click on the button in the upper left that shows what device you have plugged in. Change the settings so that you are manually managing it. Once you click on the button, you will be taken to the summary screen for your device. Scroll down until you see the Options box. In this box, find the option to manually manage music and videos. Be sure to check the box next to it as shown in the picture above. Now you can click Music at the top to go to the music settings. Configure the settings to only sync up the playlist for that device. 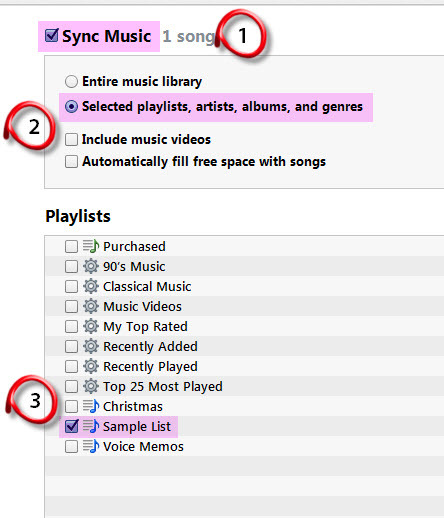 Once on the music settings page, start by selecting Sync Music at the top. Entire library is selected by default so now you will need to select the radio button next to Selected playlists, artists, albums, and genres. I would also make sure that the other two are deselected. Finally, select the appropriate playlist for the device you have plugged in. 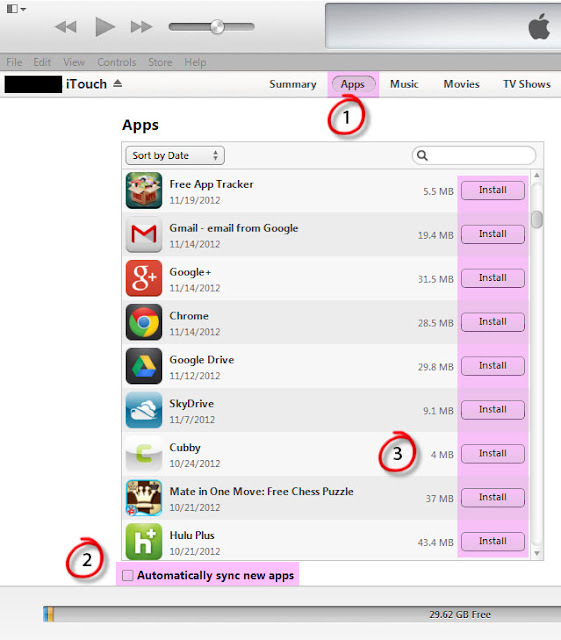 Now you should make sure that the apps are manually synced as well. Start by going back to the top and clicking on Apps to go to the apps settings page. Uncheck the box and choose the apps you want to install. Once there, scroll down to find the checkbox for Automatically sync new apps and remove the check from that box. At this point, when you download apps from the app store you will need to come here and click on install for each app you want on the device. This seems like a lot of work but it helps to ensure that the sweet new free RPG game for junior's iPod touch doesn't end up on Mom's iPhone. 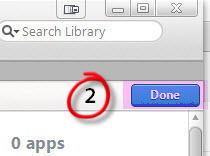 Once you are finished, just click on Apply in the lower right of the iTunes window and wait until it is finished. Remember to repeat the process for other iDevices in the home. Now when the kids get new music, just add it to their playlist and sync and you don't have to worry about how to get it off of yours. Adding and removing is as simple as adding or removing from the playlist and syncing.